$19.95 ea. $19.00 ea. $17.00 ea. $14.00 ea. $13.00 ea. $10.90 ea. 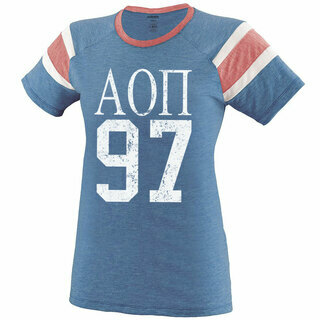 Designed with comfort in mind, the Sorority Slouchy T-Shirt is sure to become your go-to Greek apparel. It's made of 3.7 oz. 65 percent polyester and 35 percent viscose for a lightweight, breathable feel that won't ever weigh you down. 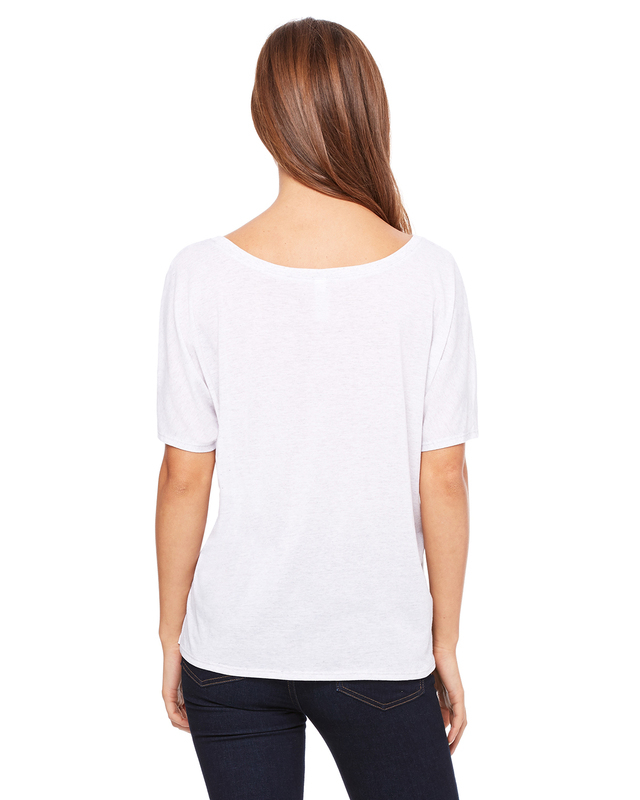 The shirt has a curved bottom hem and a longer body length, making it perfect for wearing with leggings or skinny jeans. 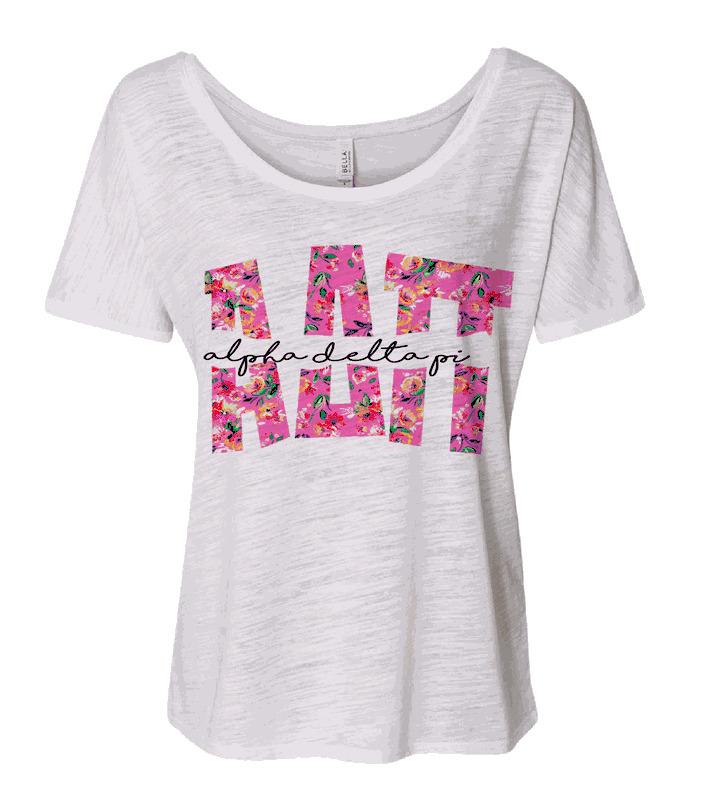 The slouchy fit and scoop neck give the tee a casual look that's perfect for everyday wear. 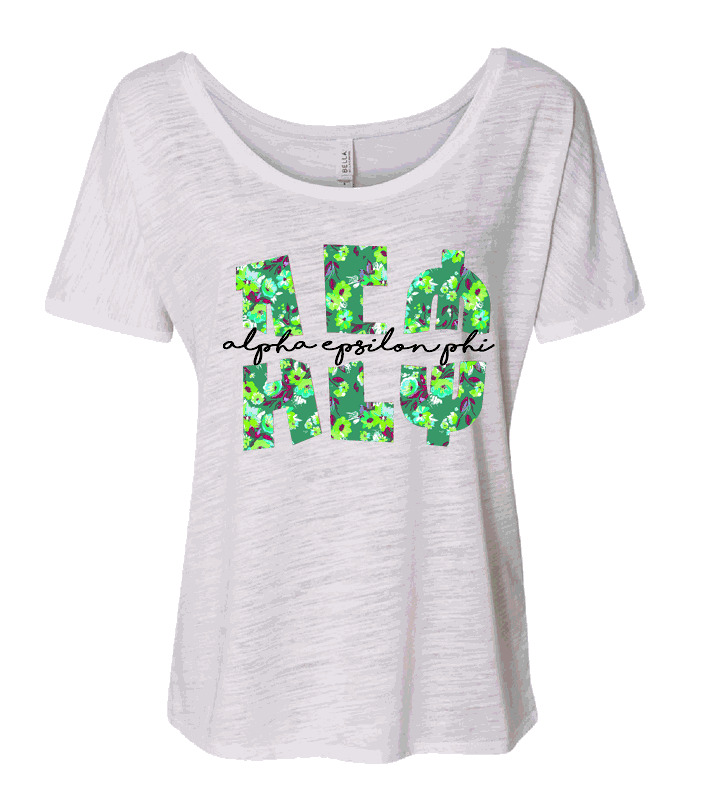 Best of all, the T-shirt includes a bold design on the front that proudly displays your sorority's Greek letters and full name. 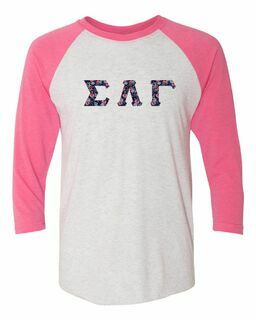 If you've been on the hunt for Alpha Sigma Alpha shirts, a new Zeta Beta Tau Baseball tee, Phi Sigma Sigma apparel, and wearable merchandise for other sororities, you've come to the right place. 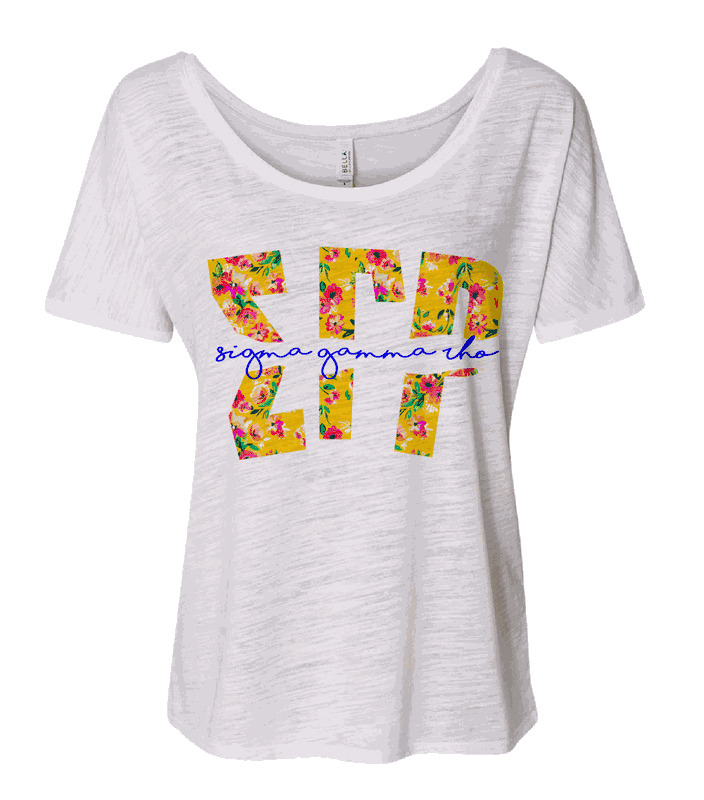 The Sorority Slouchy T-Shirt is available printed with a range of colorful designs to represent most major sororities. Choose your group from the drop-down menu before placing your order, then select your size and we'll do the rest. Need it like "yesterday?" 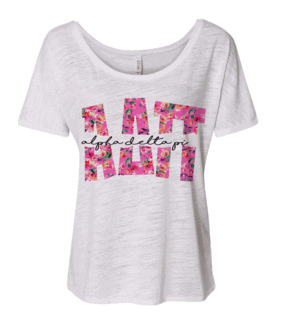 Rush shipping is available on this item.